There's hardly anything better than a smile from a child. Even the gummy toothless smile of a toddler brings a certain joy to one's heart! What you might not know about the teeth hiding below that toothless smile, though, is that they play a far greater role in the health and development of your child than you'd possibly imagine. After all, those little baby teeth, which begin forming in the womb, do much more than just help your child eat. 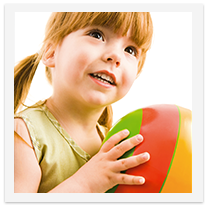 They also aid in the development of your child's facial features, and even play a role in the character of their voice. Baby teeth are special - and that's why we need to take care of them. Maybe that's why baby teeth have acquired so many different names over the years. Some call them primary teeth, or milk teeth, or even reborner teeth. Their proper name, however is deciduous teeth - which means, "to fall away" - just like the name given to deciduous trees which lose their leaves each season. Yet, unlike the leaves on trees, they only fall out once, and they actually live in your child's mouth for a good number of years before moving on to the tooth fairy's collection. The most important reason to care for your child's deciduous teeth is real estate. The main job of these teeth as a child ages becomes to save a specific spot in the mouth for the adult teeth that begin to arrive around age six. If teeth fall out too early due to decay or injury, and are not bridged by a space maintainer, there is nothing to prevent the teeth behind from moving forward. This sets up all sorts of later complications which can, of course, lead to a need for braces, increased cavities due to overcrowding, and crooked teeth or a misaligned bite. Your dentist can suggest a sealant to protect your child's teeth as they age, and may also recommend regular fluoride treatments or supplements to strengthen the enamel and resist decay. Whenever possible, drink fluoridated water and always use fluoridated toothpaste. Also be sure to protect your child from any oral injuries that might result from sports activities, and if toddlers stay with a pacifier or finger sucking beyond the age of two, ask your dentist for advice on curbing these habits as well. Your child's early teeth set up their entire mouth for its later look and feel, and they keep those teeth for many years before they're fully equipped with a full adult set. Take care of them, and your child - as well as your wallet - will thank you for it.